For the past few years, I've been teaching my children to bake and cook with me in the kitchen. It's definitely hard, and it always takes longer to get things done, but there's a reason and a purpose for it. 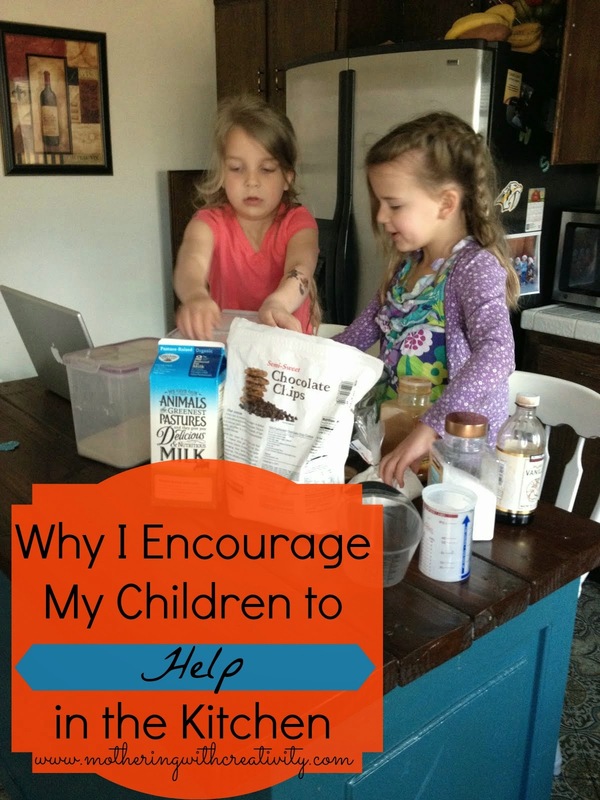 I want my children to be competent in the kitchen, and I want them to help out with meals and such. I believe that it is my job to teach them how to cook, and the only way to do that is to actually allow and encourage them to be in the kitchen with me. This week, I got my first "payoff" from all this teaching and training, and it was so exciting! My girls kept begging to make chocolate chip muffins this week, so yesterday, I said, "go ahead." I found them a recipe via Pinterest and let them go for it. I did NOTHING. Well, I did the oven, because obviously they aren't old enough to use that yet. But otherwise, they did it all. I hung out in the kitchen most of the time to listen in case they ended up doing something super wrong, but to my surprise, they did it all correctly! Ellie is 6 and in 1st grade, so she knows basic fractions (1/2, 1/4, 1/3, etc.) and she can read very well. She read the instructions and ingredients, found and filled the correct measuring cups/spoons, and then gave them all to her sister to pour and mix. As if I wasn't already shocked enough that she could put together a recipe on her own, I was doubly shocked at how she allowed her sister to do all the pouring and mixing jobs, and encouraged her along the way. I was SO proud of my girls. When they were ready for the muffins to go into the oven they came to get me. I put them in the oven for them and then we waited. Their muffins were SO good. Seriously. I was so proud of my girls. But to be honest, I was really proud of myself, too. Having my kids in the kitchen with me all the time is fun but it can get tiring. It can be hard. Frustrating. Time consuming. I finally got to see the hard work that I've done pay off...I got to see my two young girls function in a kitchen and completely prepare a recipe on their own. And that makes all those frustrating times worth it. 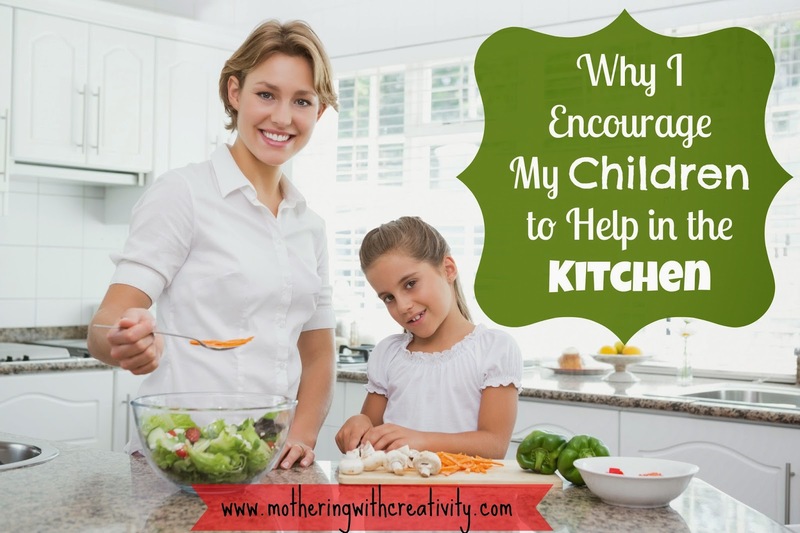 Do you allow your children to help you in the kitchen? Do they enjoy it? 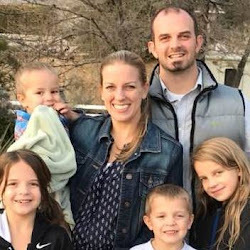 Is it hard for you, or does it come naturally to let them help?